“Those who contemplate the beauty of the earth find reserves of strength that will endure as long as life exists”. Cycling in essence is an adventurous sport, it evokes a spirit of exploration and risk-taking, and being adventurous inevitably makes you a more interesting person. Riding Amashova opens doors to a world of possibilities; you’ll gain access to places often too remote for the average person and you get the privilege to engage with individuals in a more meaningful way. The awesome fact about cycling is that no matter where you find yourself in our beautiful country, chances are you’re never too far away from a forest trail, district road or main road. You don’t even have to travel very far… cycling can help you discover hidden gems in your very own town, opening your eyes to what you never thought existed in our magnificent country. It’s all about being present in the here and now. Rolling with it. Going with the flow. Everything else, all the challenges life throws your way, magically fades into the background. Many people wish they could ride a bike, some can’t afford it, some do not have the drive, ability, mobility or health to attempt it and others simply cannot get in. We should never expect to be entitled to anything. Thank you Jon (the lean mean racing machine on the far right in blue t shirt!) 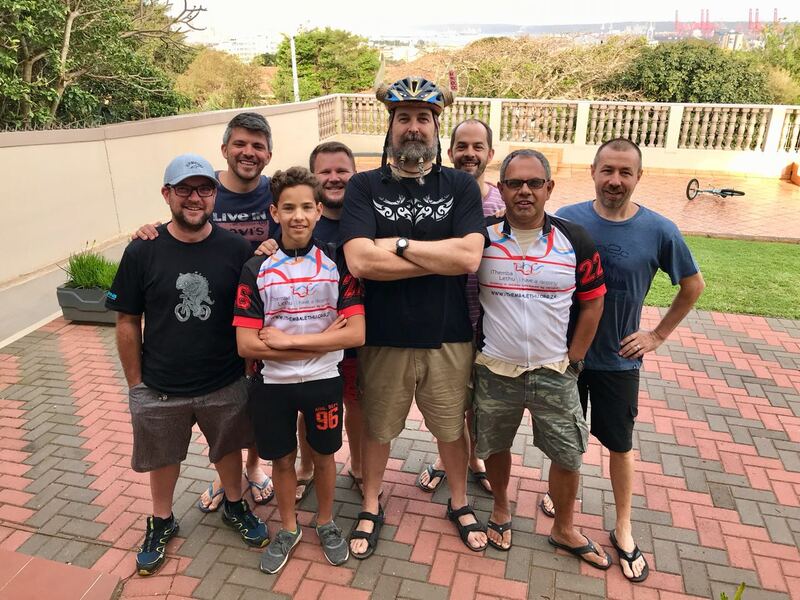 for riding the Amashova again 2016, 2017 and now again in 2018 to raise awareness and funds for iThemba Lethu!